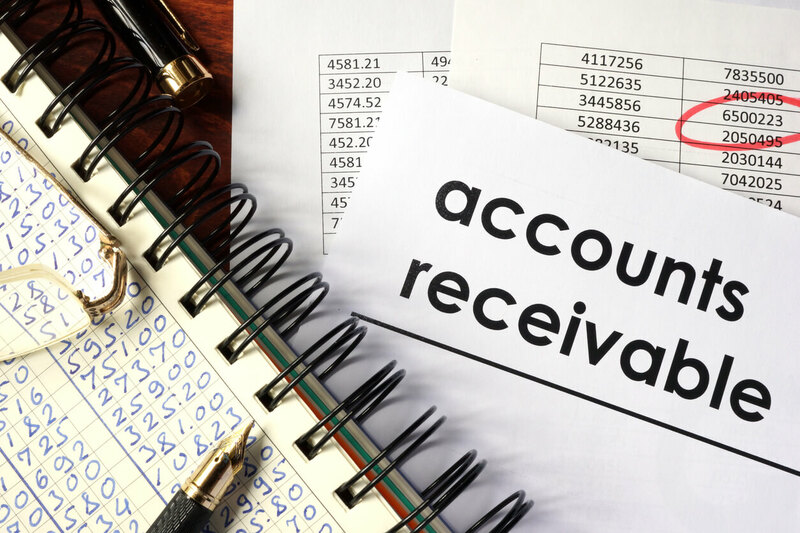 Accounts receivable is a topic that every publishing company knows about, but does every company manage their accounts receivable? A publisher’s cash management plan will always include accounts receivable management. While publishers may think that receivables are trade accounts receivables, there are several types of receivables every company must manage including promissory notes, employee advances, rights and licensing sales, and even income tax returns. The key for a company is to manage all of its outstanding accounts receivable. This article will discuss the basics of managing your trade accounts receivables, including the topics of customer base, collection efforts and metrics that measure your company’s accounts receivable. Managing your customer base is important to your company’s financial health. You want a diversified customer base to limit high-risk customer and industry concentrations. Selling to a diverse group of industry segments and customers will allow your company to avoid financial problems when an industry segment or a single customer has an economic problem. Managing the company’s customer base requires you help and support good paying customers and fire bad paying customers. A broader industry base reduces your risk from returnability and having too large an A/R concentration with one customer. A customer that does not pay their bill is not really a customer or a sale. Your A/R reporting should give you the ability to segment accounts by customer type. Learn what each segment means to you in terms of sales concentration, returns, credit worthiness, and days sales outstanding. This way you can track the differences from independent stores to libraries to wholesalers. Ideally you would like to have a mix of customer types to develop a blend of times when you receive your money, from cash sales by consumers or special sales, to 30-60 day terms for non book trade, to 85-90 days for Ingram, B&T, Borders, B&N, longer for distributors such as PGW and NBN (they have to wait to be paid before paying you), to overseas distribution that typically runs 180 days. A/R terms are very long in the book industry and are further complicated by returnability. Push too hard for collection and you get your books back as payment. Gone today—here tomorrow. It is helpful to sell into channels outside the book industry where payment terms are usually shorter and to channels that customarily do not make returns. Your systems must work properly from the time the order is placed. Customer terms must be clearly understood from the point of sale and match the invoice. Correctly ship and verify counts or weights. Ensure adequate packing for perfect delivery. Include packing lists and maintain proofs of delivery for every shipment. Who Will Your Customers Pay First? Retailers and wholesalers pay their most important vendors first and those just happen to be the largest publishers, distributors and wholesalers. To compete for collections you must be persistent, personable and on top of your accounting. A/R collections in itself is such a major issue that many publishers will use a distributor or a larger publisher because the larger company is going to have the muscle to collect their accounts receivable. Collecting your money can sometimes be like charming a cobra out of a basket without getting bitten. Accounts receivable collections efforts must go beyond just billing the customer and waiting to get paid. In any type of business a sale is only complete when the customer has paid for the items purchased. You need to be proactive when dealing with customers and not reactive, as when the company needs cash. Proactive collection efforts are a very important part of a company’s accounts receivable management and need to start before you even ship an order to a customer. Before you ship any order an accounts receivable profile should be created for the customer and should include a credit application with accounts payable and bank references. For large orders a credit report will need to be run. Remember it is important that you call the customer’s references. After checking references, your company will have to establish a credit limit for the customer and credit terms. COD is a good option for new or established customers that have problems paying within terms. While COD is customary in other trades it is unlikely you will get a booktrade customer to buy COD. Customer terms and credit limits need to be strictly followed and reviewed when a customer requests changes to their terms or credit limits. The best way to get outstanding invoices paid is to call the customer’s account payable department. Direct customer contact is the number one collection tool as it allows you and the customer to have a dialogue about when your invoice will get paid. Target collection efforts to customers with past due invoices. Follow up promptly on any reason that a customer has for not paying their bill and follow up daily on any new invoices that go past due. Statements are an informational tool. While it is never a good practice to pay from a statement, some companies do. Consider the best timing for mailing your statements so they arrive at the customers between the 20th and the 25th of the month, being received prior to an end of month payment cycle. Hand write notes on statements or use other attention getting methods. Also try kindness. Thank your customers for paying on time. One of the biggest problems growing publishers face is unreconciled invoices from major accounts. The situation starts like this. A customer pays several invoices and at the same time deducts for return shipments, shortages, advertising, or other allowances all on the same check. The publisher may not have received the returns, or returns notifications, or shortage claims, etc. It is at this point that the publisher must become actively involved in keeping the records straight. Credits taken by the customer must be matched up to credits already issued for returns. They never match. Differences need to be charged back to the customer for shortages or non-receipt. Advertising claims must be tracked to avoid double deductions. To stay reconciled a publisher must stay in balance with all of the activity on each check payment stub. This is the customer’s payment communication back to your company. Too often a publisher receives a net check for $15,000 where the customer is paying $20,000 worth of invoices and has claimed $5,000 in credits. The publisher applies the $15,000 to the open invoices and leaves $5,000 showing as unpaid. They matched the cash—right? Let situations like this mount for six months or twelve or eighteen and the situation becomes a nightmare. The customer has paid all the invoices yet the publisher shows them open and past due. The customer is placed on credit hold to pay invoices they have already paid. Sales suffer. To add insult to injury, if the publisher has accounts receivable financing, the account falls out of eligibility and the borrowing ability is lost. Avoid this situation by reconciling every check stub and communicating problems to the customer immediately. Unreceived returns or returns shortages need to be charged back. Pay all invoices in full on the check stub, apply all credits and issue chargebacks to keep the customer’s account in balance. Major accounts need additional follow up every three to six months on chargebacks and other unresolved claims. It is very important to have a capable accounting person to direct these reconciliations and communication with customers. This is a job beyond that of cash applications. A good A/R person is worth their weight in gold. Accounts receivable trade collection efforts can be monitored with the use of a collection metric called Days Sales Outstanding (DSO). DSO is a metric that measures how many days your company takes to collect accounts receivable. The publishing industry’s DSO average approaches 120 days. DSO is a mathematical equation that can provide the company with a powerful understanding of accounts receivable dynamics, but like any equation or formula the information can be interpreted incorrectly, so management truly needs to understand what the formula means and what affects the DSO number. Though there are many DSO formulas, the authors wish to focus on the following DSO equation. Current Trade Accounts Receivable divided by the last 90 days’ Charge Sales; this figure is multiplied by 90 Days. The resulting number is your Days Sales Outstanding or DSO. The company’s DSO shows how fast a customer’s invoice will be turned into cash. The DSO formula can be affected by sales cycles, because large sales months will push down the DSO while low sales months will push up the DSO. Quality of sales will have an impact on DSO, while slow paying customers or bad debt remaining in accounts receivable push up the DSO. Accounts receivable write-offs will lower the DSO. Managers need to understand the reasons for variations in the company’s DSO. Every publisher and financial manager should monitor DSO at least weekly, better still, build the DSO metrics into your daily financial reports. DSO is an important factor to work back into the cash flow model discussed in our previous article. Bad debt is an accounts receivable trade invoice, customer account or note that is deemed to be uncollectible for any number of reasons. Bad debt can be the result of age of an invoice, a customer going bankrupt, or a customer dispute. The publishing standard for bad debt is ½ to 1% per year of trade sales made on account. Reserve for bad debt in the period that it is determined that an invoice, customer account or note becomes uncollectible. Management will have to decide if accounts receivable bad debt is to be written-off when bad debt is reserved for or retained in accounts receivable to be written-off at a future date. Collecting your A/R is the #1 key to staying alive in the publishing business. Consequently A/R collections activity and reconciliations are a daily task. Customers tend to pay companies that call them on a regular basis. The company as a whole, needs to support A/R collection efforts, including the sales staff. In future articles in this series, we will discuss asset-based lending, inventory, purchasing and more.